We took bus from Hiroshima city to the shore and after visiting an oyster farm by boat, the captain left us on pier of the Itsukushima island. 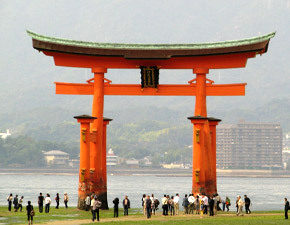 From the seaside we were greeted by the fabulous sight of the Otorii (the grand gate, photo) and the large area of Itsukushima shrine (photo). We spent a day walking around the island, seeing also other shrines and temples: Senjokaku Shrine - The Hall of a Thousand Tatami Mats (photo), Goju-no-to - a red Five-Storied Pagoda (photo), Daiganji Temple - an ancient Shingon Buddhist temple (photo). 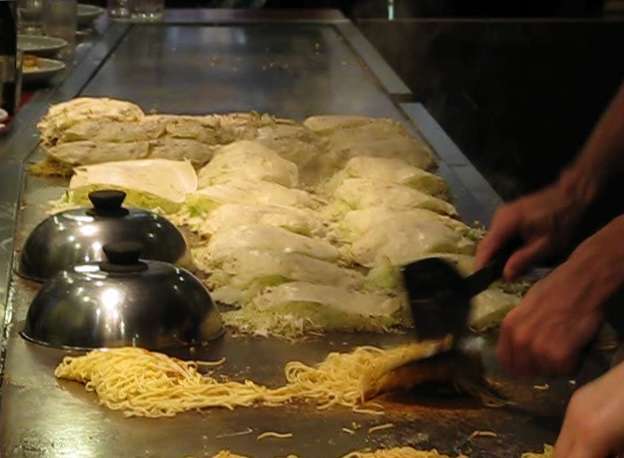 We enjoyed the warm temperature and a famous cuisine Okonomiyaki, usually cooked right in front of the customer (photo). I tasted okonomiyaki in a small rastaurant and liked the okonomiyaki sauce especially. Miyajima is famous for its quality wooden rice scoops. 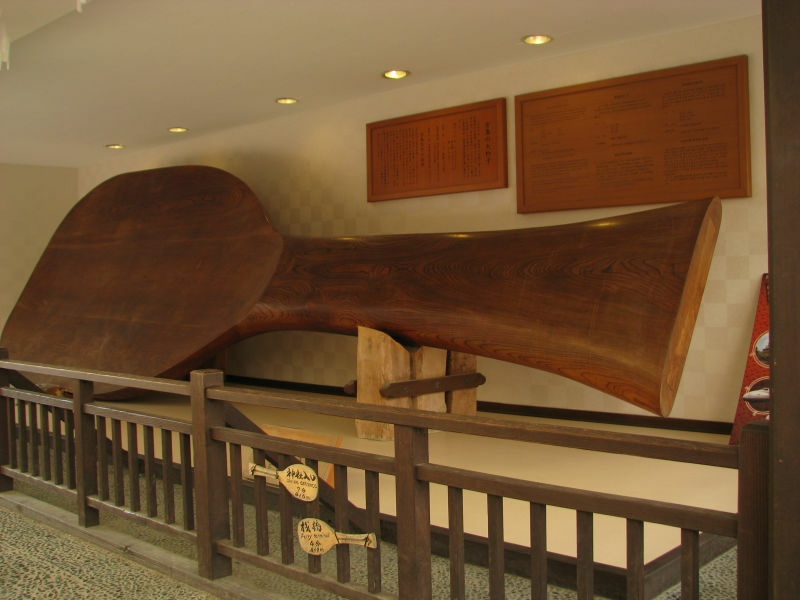 This O-Shakushi (World's Largest Wooden Rice Scoop/Spatula photo)is made of zelkova tree whose age is 270 years old. It is 7.7 meters long, 2.7 meters wide and 2.5 tons. 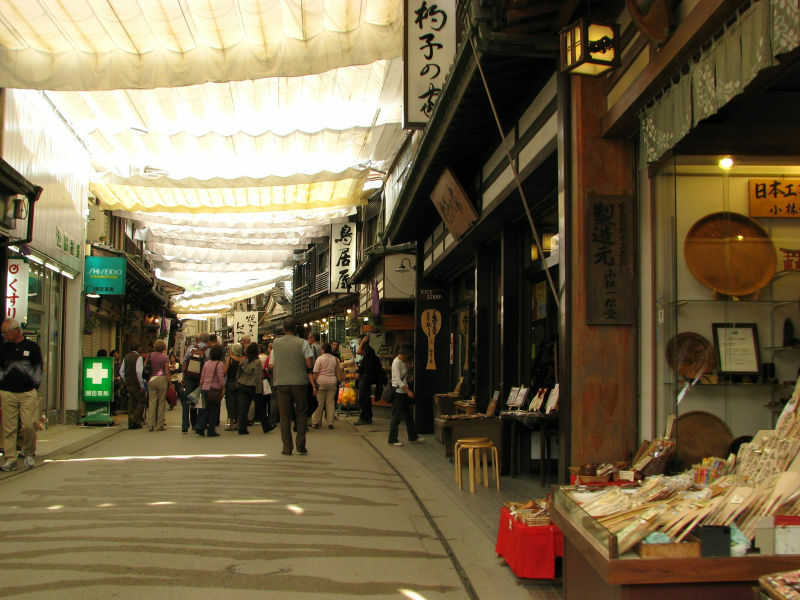 It is displayed on the Omotesando Shopping Arcade (photo). 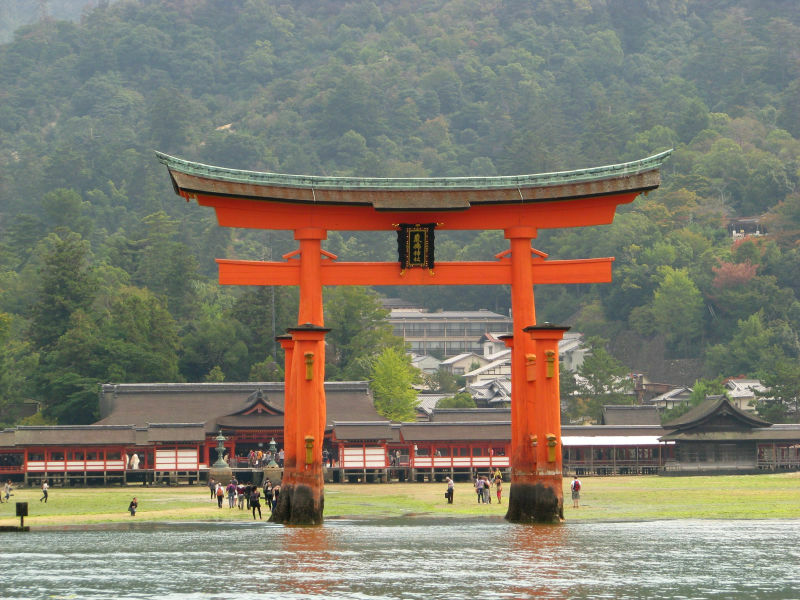 Itsukushima is an island in the western part of the Inland Sea of Japan, located in the northwest of Hiroshima Bay. It is popularly known as Miyajima, Japanese for "Shrine Island". The island was the town of Miyajima prior to the 2005 merger with Hatsukaichi. Itsukushima is famous for the Itsukushima Shrine, a UNESCO World Heritage Site. 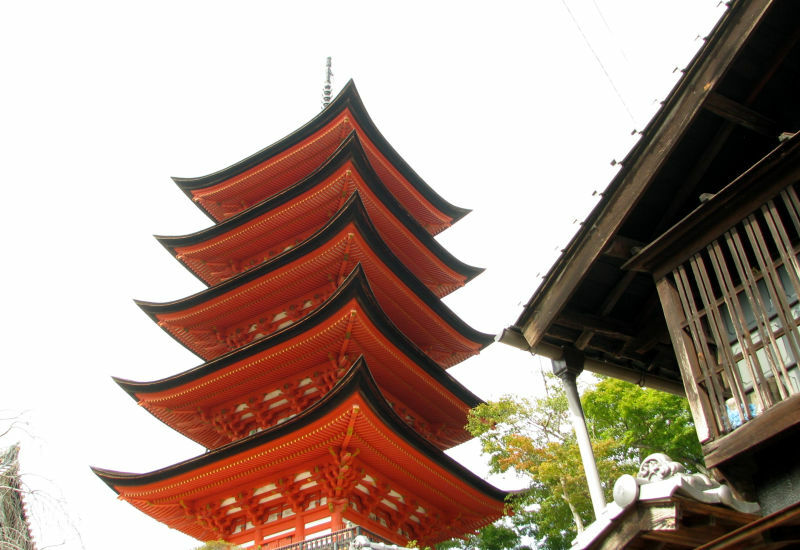 Miyajima has been considered a holy place for most of Japanese history. The first shrine was founded in 593 AD. The land was regarded as so sacred that the famous Itsukushima Shrine was built over the water to avoid offending the Gods. In 806 AD, the monk Kōbō Daishi ascended Mt. Misen and established the mountain as an ascetic site for the Shingon sect of Buddhism. The shrine was established in the time of Empress Suiko and the island's Buddhist temples and Shinto shrines have maintained a close relationship. 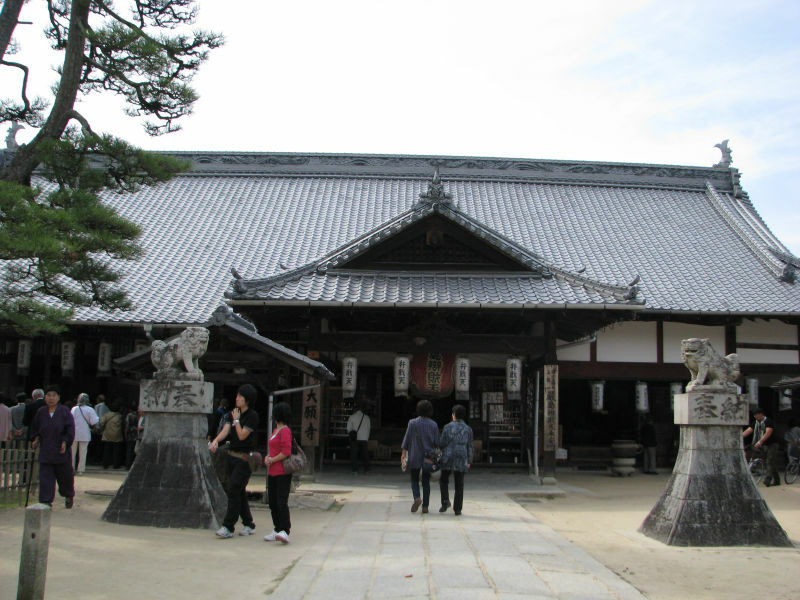 The warrior-courtier Taira no Kiyomori gave the shrine its present form. In 1555, Mōri Motonari defeated Sue Harukata at the Battle of Miyajima. 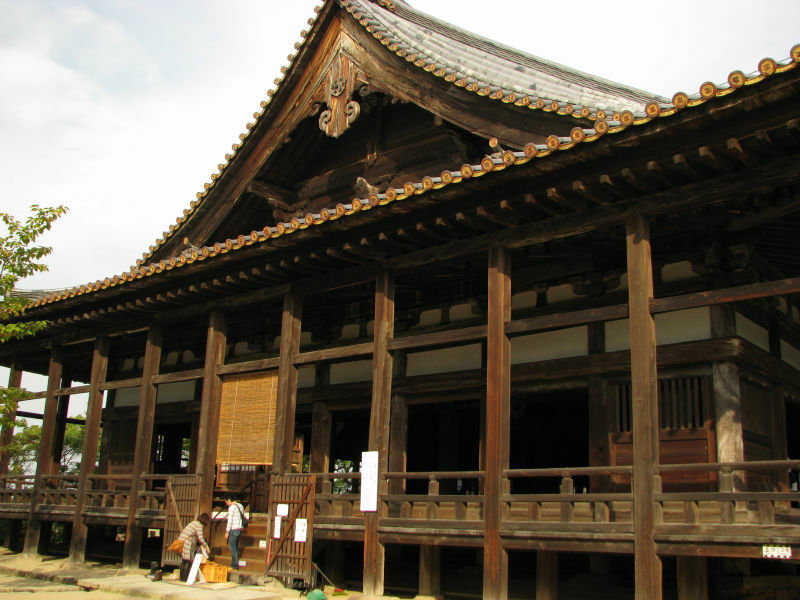 Toyotomi Hideyoshi built a large building, the Senjō-kaku, on a hill above the shrine. 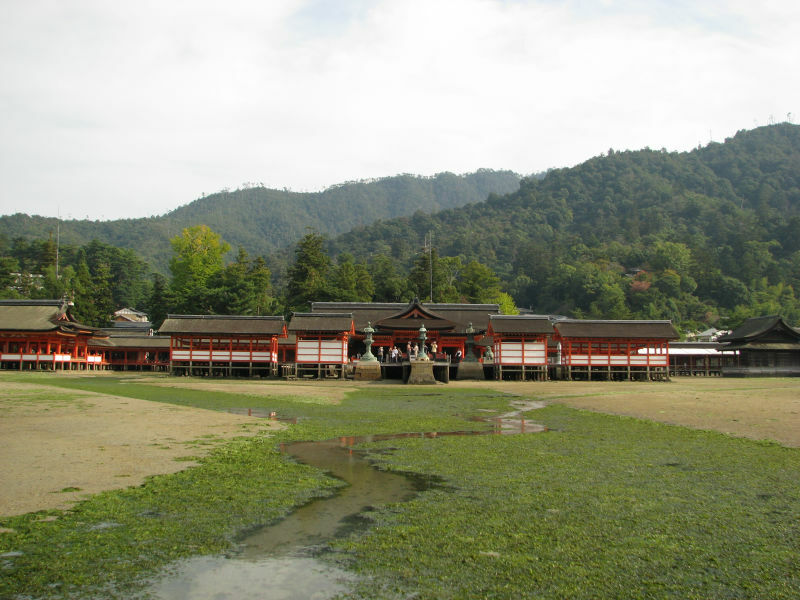 When people eventually inhabited Miyajima Island they were forbidden to till the ground, give birth, die or be buried on the sacred ground. Even today there are no hospitals or cemeteries on Miyajima Island. As the island is seen as a sacred place, trees can't be cut for lumber. Deer and monkeys roam freely. 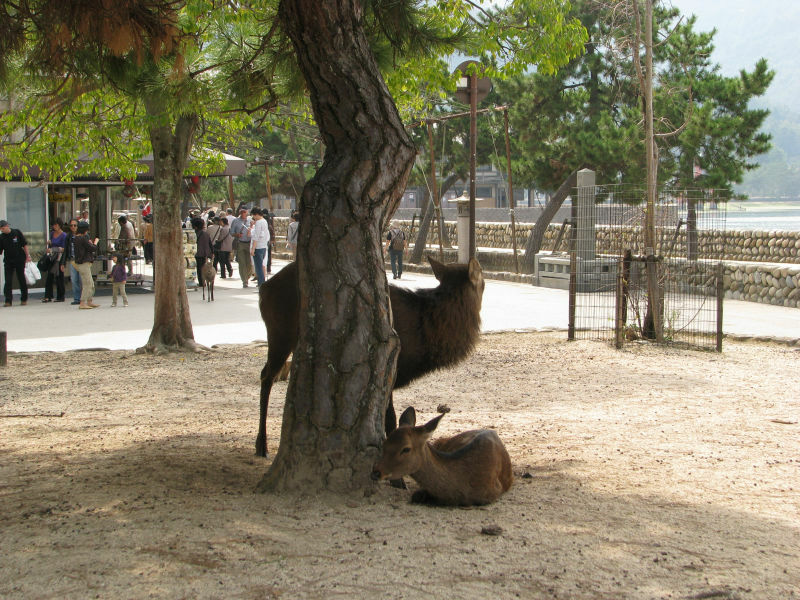 It is believed that the Miyajima deer (photo) have lived on the Miyajima Island for 6000 years. 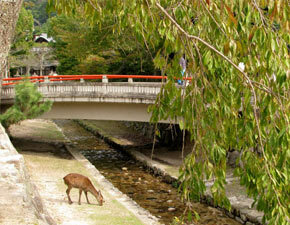 Deer are believed to be a messenger of the gods in Shinto (Japanese native religion). Therefore, they are treated very well by the locals and are not scared of people. The peak of Mount Misen, at 535 m, is the highest point on the island. Miyajima Ropeway carries visitors to within a 30-minute hike to the top. There are many shrines and temples on the island. It is rural and mountainous, only 30.39 square kilometres (11.73 sq mi), and has a population of about 2000. 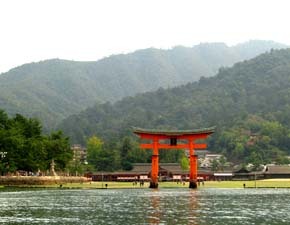 The island also contains the Miyajima Natural Botanical Garden on its north coast.